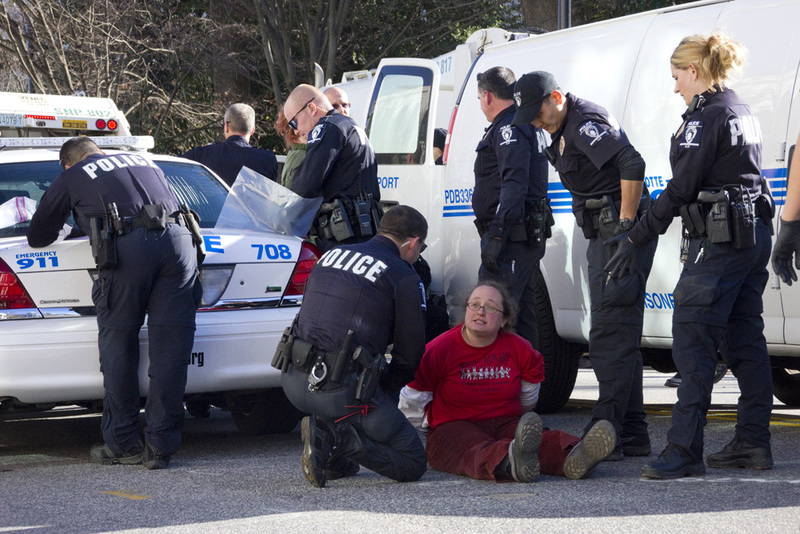 Thanks to Grant Baldwin, who was on-site for much of the day photographing the police and Occupiers, and provided us with the above photos. 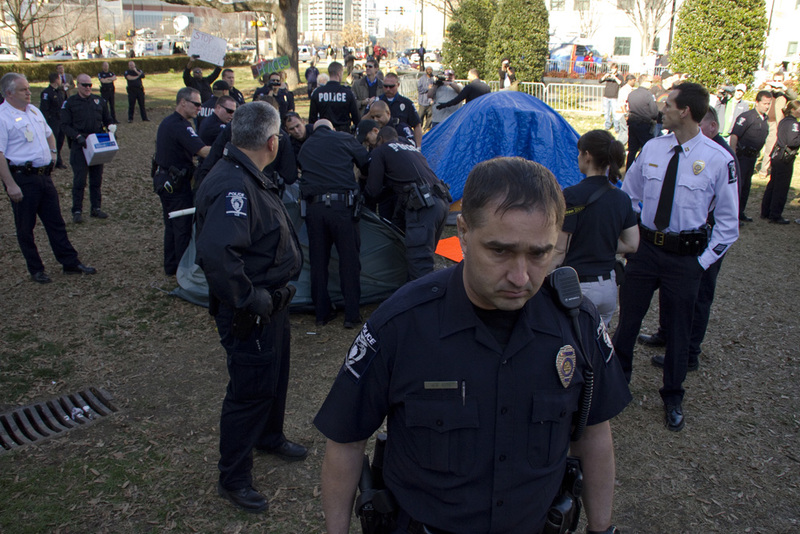 The police handled the removal of the Occupy’s encampment with tact, reading the newly passed ordinance to the campers the evening before, and giving the group multiple warnings of the impending removal. 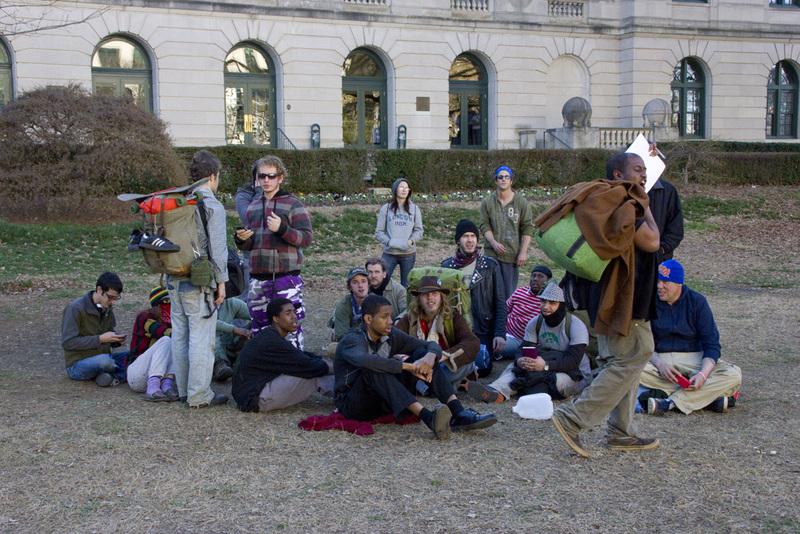 Likewise, the Occupiers responded peacefully, playing songs like “Why Can’t We Be Friends?” and even dancing the hokey pokey. 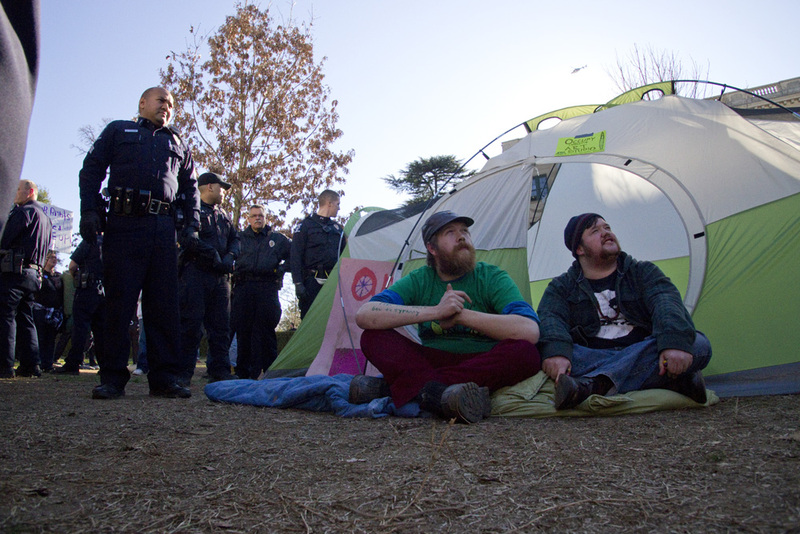 Seven of the Occupiers were arrested for sitting in their tents, delaying their removal. 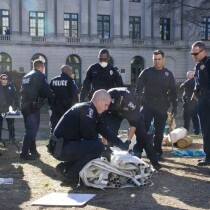 but they did not resist, and the police used no force. 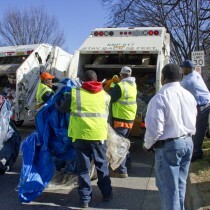 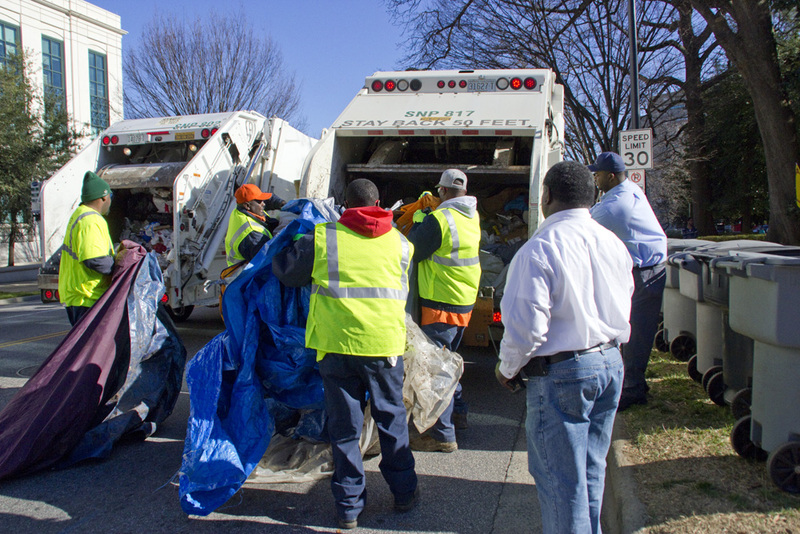 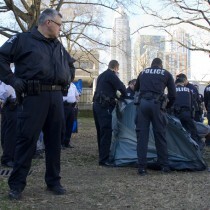 Tents removed by the police were dumped and compacted in a nearby garbage truck. 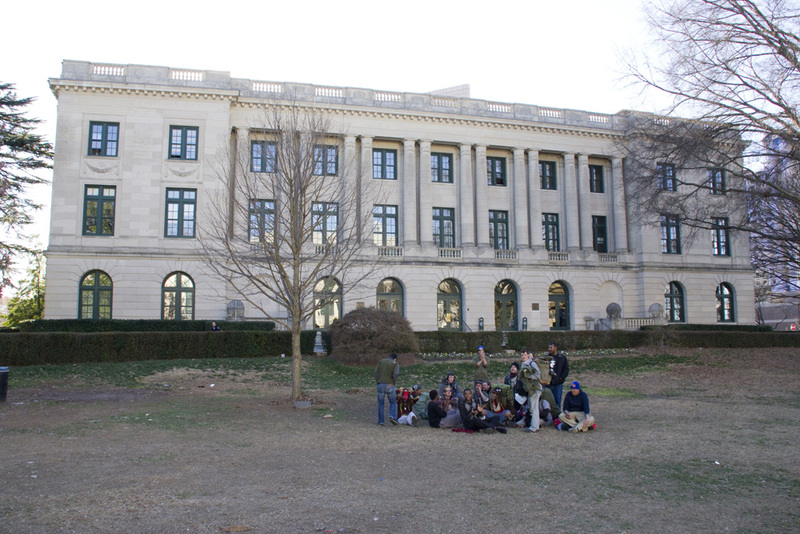 The whole process took about two and a half hours. 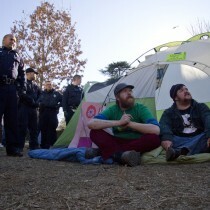 Remaining on-site is the welcome canopy nearest the road, and of course, some Occupiers minus a camp. 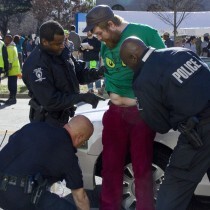 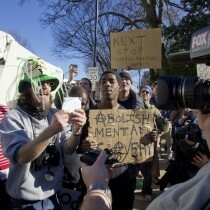 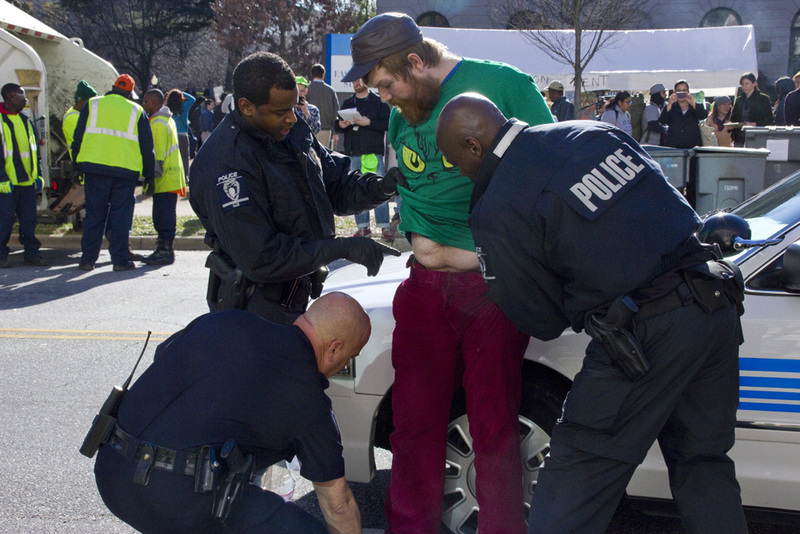 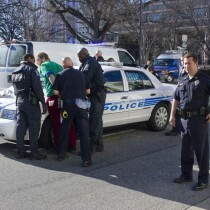 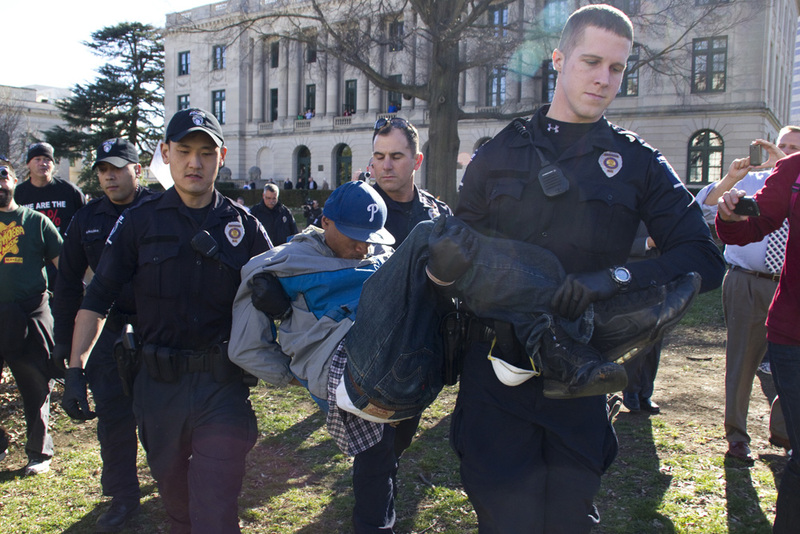 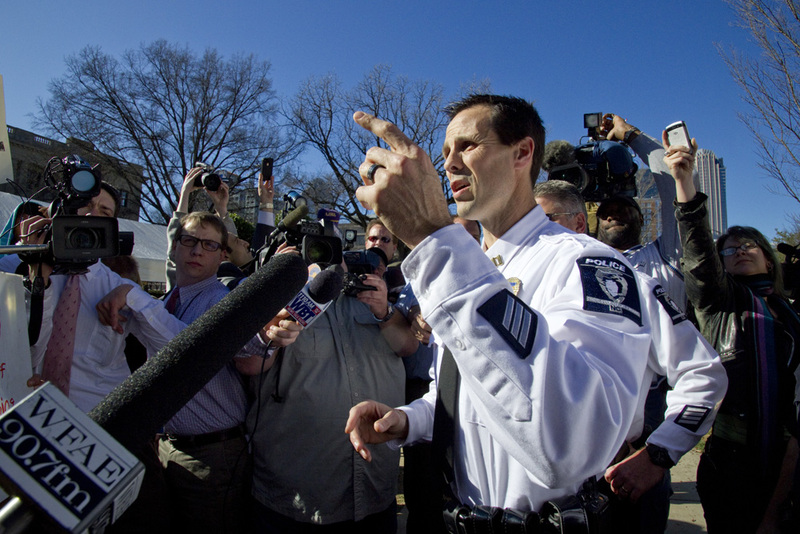 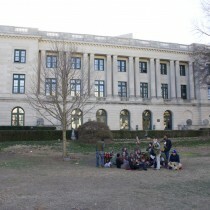 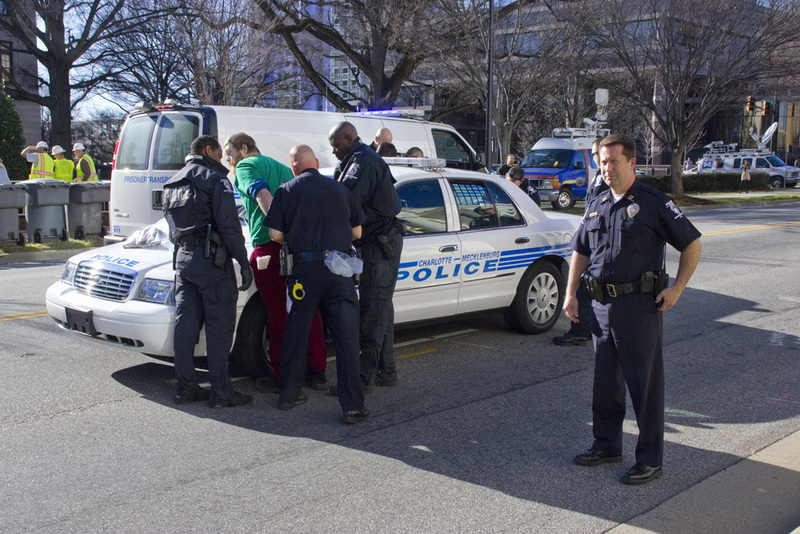 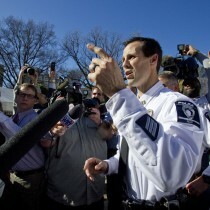 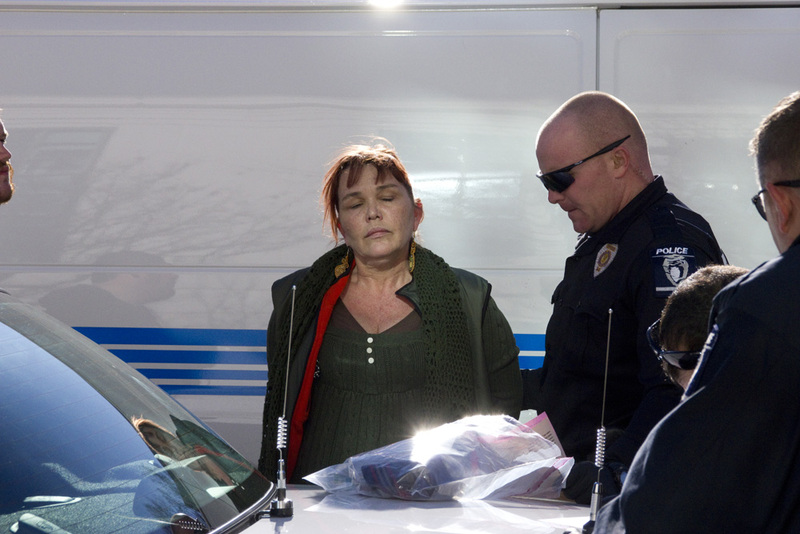 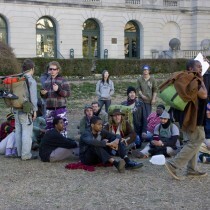 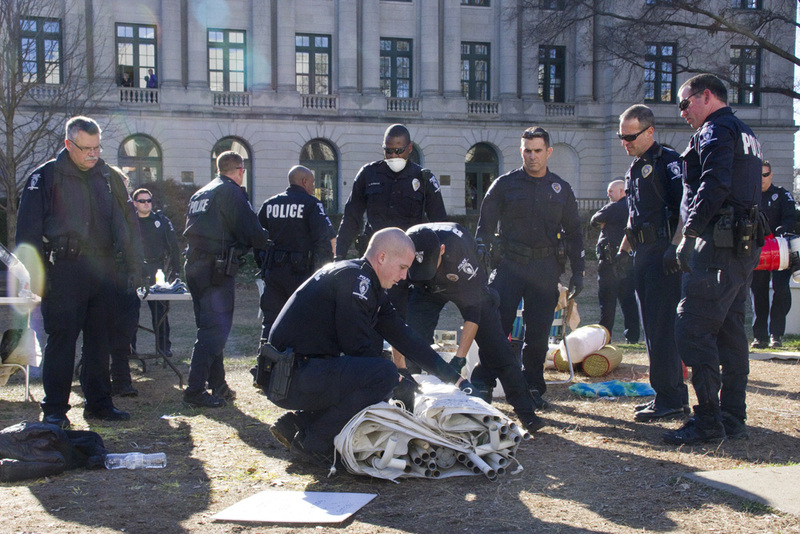 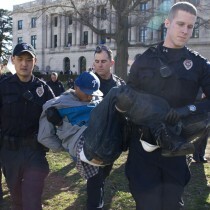 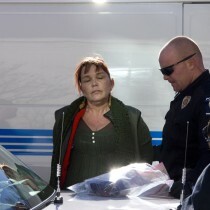 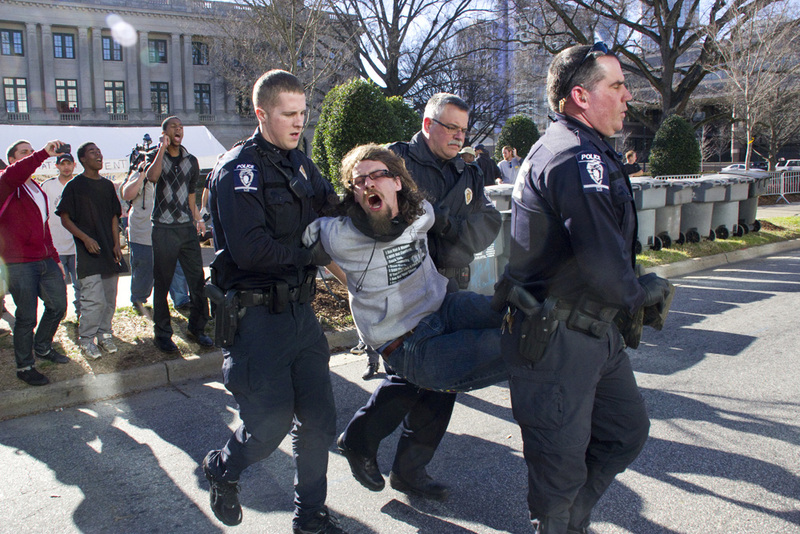 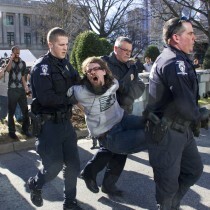 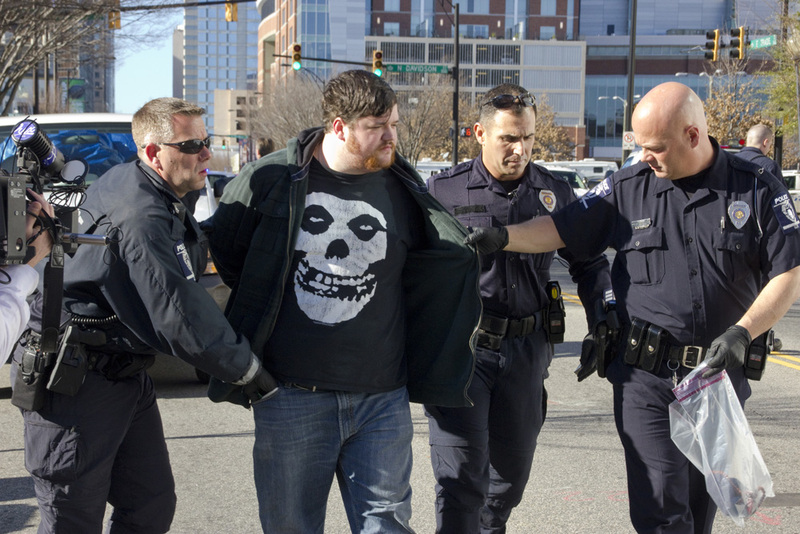 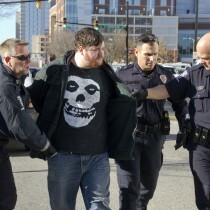 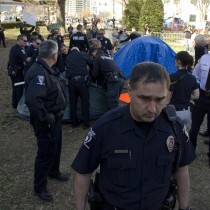 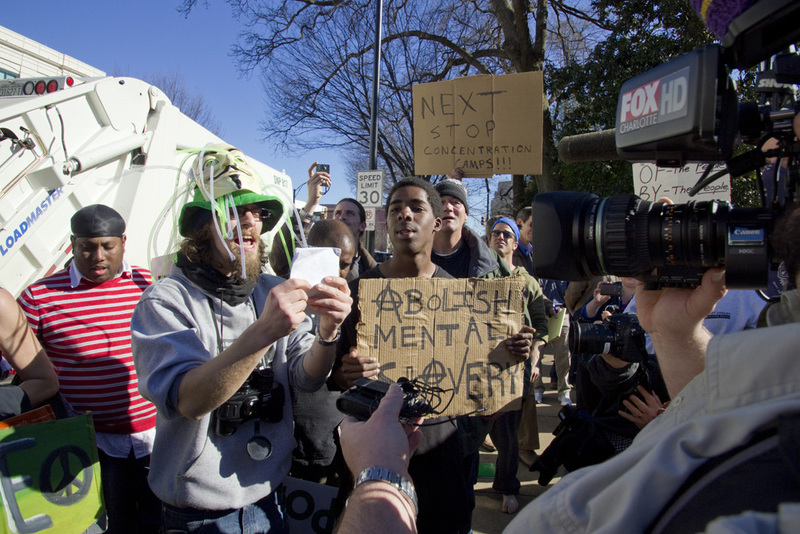 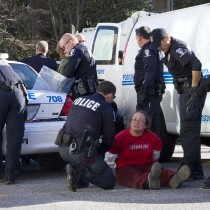 The effect of the removal on Occupy Charlotte, and its following both in person and online, remains to be seen. 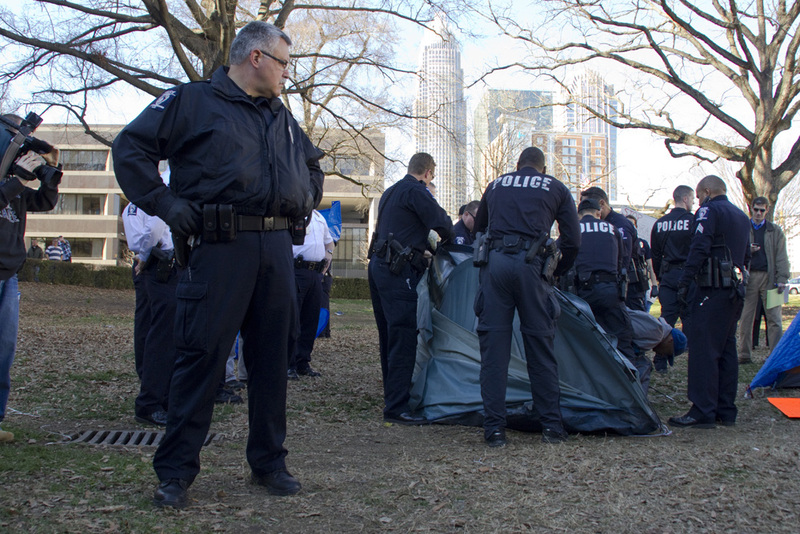 The Charlotte Observer has a few good pieces on the campsite removal, and was on-hand for much of the process live-tweeting developments.